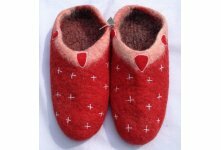 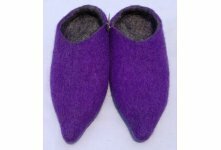 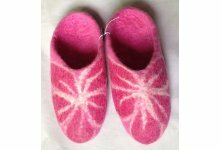 We wholesale this seven flower design pink colored felt beautiful slipper from Nepal,Handmade in Nepal by Nepalese women and man. 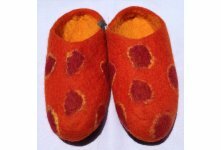 It is has 2-color (inside and outside) and different flower. 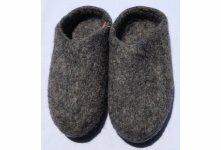 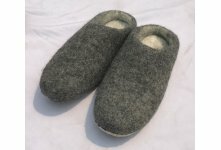 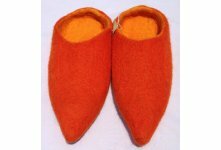 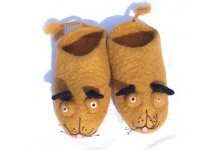 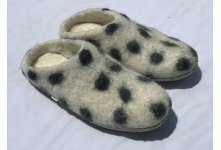 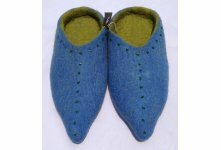 It is made from sheep wool imported from New Zealand. 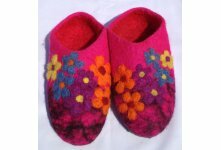 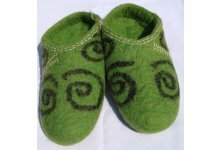 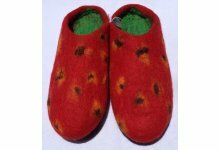 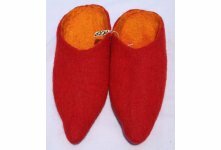 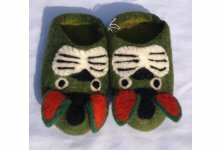 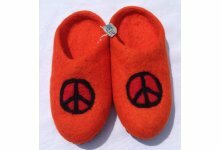 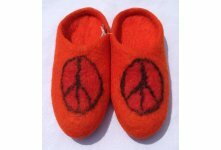 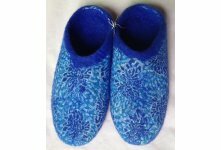 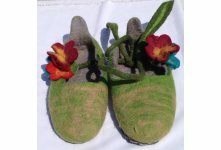 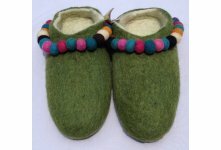 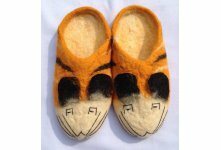 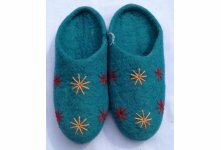 This flower design handmade felt slippers available in assorted colors and different tinny,children & adult sizes. 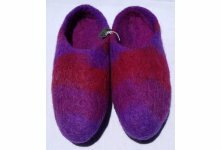 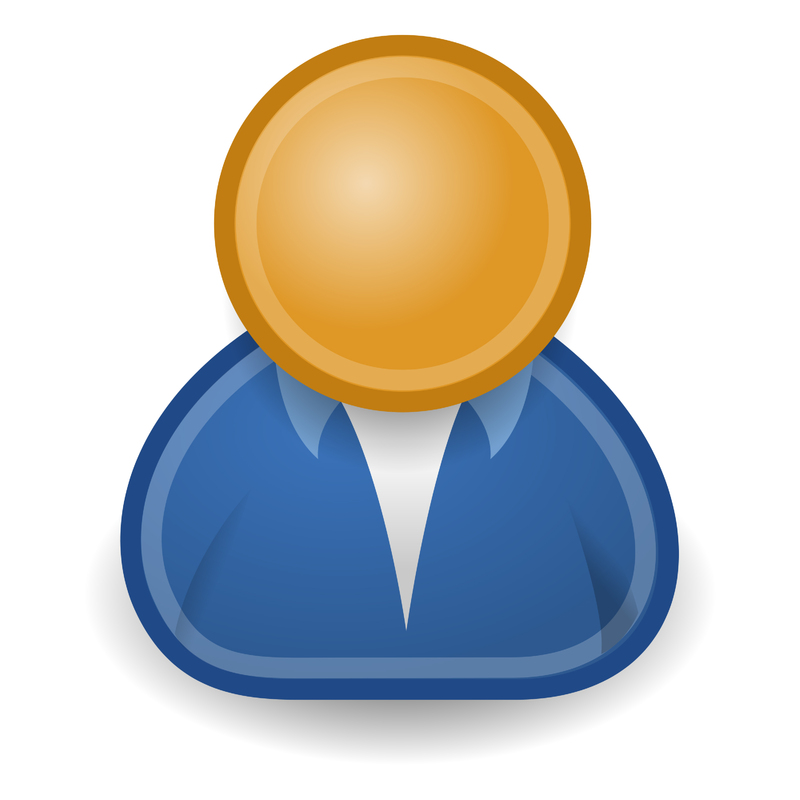 We accept your own design and colors combinations.